The president's lawyer tackled dozens of topics in an interview. President Donald Trump's lawyer Rudy Giuliani sparred with Chris Cuomo in a heated – and often pinballing – interview Wednesday night. 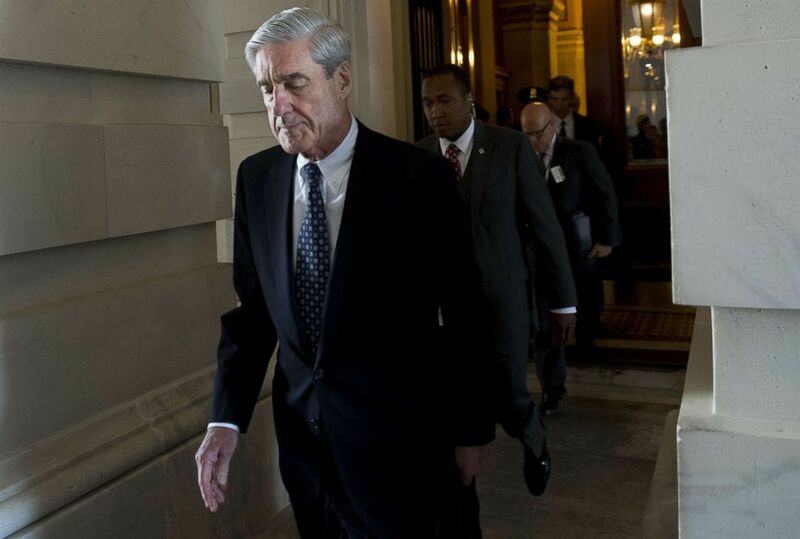 The former New York City mayor tried to defend the president and impugn the credibility of special counsel Robert Mueller's investigation into Russian meddling in the 2016 election. In one spirited debate, Giuliani defended Trump to Cuomo, host of "Cuomo Prime Time" –distinguishing between allegations leveled against the campaign and those leveled against the president. "You just misstated my position," Giuliani said, interrupting the host. "I never said there was no collusion between the campaign! Or between the people in the campaign." "Yes, you have," Cuomo interrupted. "I have not. I said the president of the United States -- there is not a single bit of evidence the president of the United States committed the only crime you could commit here: conspired with the Russians to hack the DNC." Following his comments on CNN, Giuliani released a statement clarifying his position. "I represent only President Trump not the Trump campaign," he said in the statement. "There was no collusion by President Trump in any way, shape or form. Likewise, I have no knowledge of any collusion by any of the thousands of people who worked on the campaign. The only knowledge I have in this regard is the collusion of the Clinton campaign with Russia which has so far been ignored." (Charles Krupa/AP) Rudy Giuliani, an attorney for President Donald Trump, addresses a gathering during a campaign event for Eddie Edwards, who is running for the U.S. Congress, in Portsmouth, N.H., Aug. 1, 2018. Trump of course has tweeted the phrase "no collusion" dozens of times, including 51 times in 2018 (and once in 2019). Giuliani himself, contrary to his interview with Cuomo, has echoed the "no collusion" claim many times. After a CNN interview in July 2018, he responded to a viewer with exactly that claim. He tweeted, "No collusion, no obstruction. President Trump did nothing wrong." Excellent observation seemed like 40 minute interview on CNN this morning. You can investigate an innocent person forever and forever and find nothing. When do we say enough is enough. No collusion, no obstruction. President Trump did nothing wrong. Giuliani also explained away onetime Trump campaign chairman Paul Manafort's alleged contact with an ex-Russian agent, saying, "He was only there for six months -- or four months." Defense attorneys inadvertently revealed earlier this month that Manafort is accused of sharing 2016 campaign polling data with Konstantin Kilimnik, a longtime business associate whom the special counsel has identified as a former Russian intelligence officer. While defending handing over polling data as not being collusion, Giuliani said, "Polling data is given to everybody," before conceding, "He shouldn't have given it to them" just one question later. Later in the interview, Giuliani seemed to hedge even further about collusion, saying, "If the collusion happened, it happened a long time ago. It's either provable or it's not. It's not provable because it never happened." 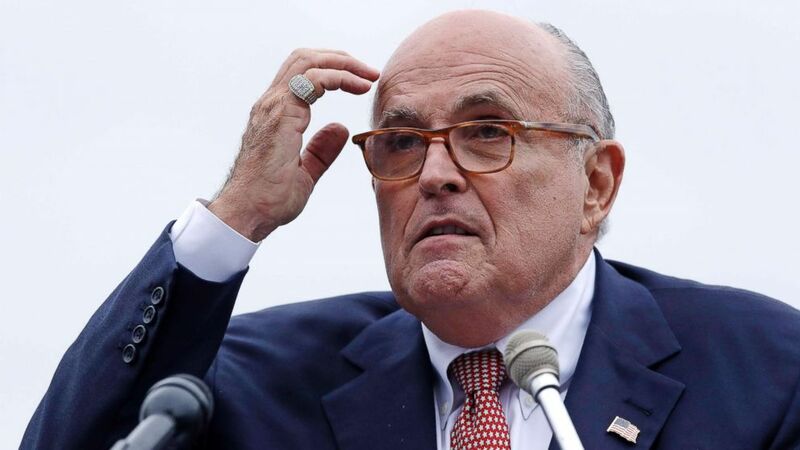 Seconds later, when asked what he meant by "if it happened," Giuliani responded: "I'm telling you there's no chance it happened." The former mayor did say Mueller's report should be made public but also said Trump and himself should be able to see it first and he should be able to offer a response on behalf of the president. Editor's Note: This story has been updated to clarify Rudy Giuliani’s comments in defense of the president. ABC News' Chad Murray contributed to this report.